Riverland is a tender middle grade. It’s about a fantastic world, falling through puddles, but also about domestic abuse and learning to find your own voice. When things go bad at home, sisters Eleanor and Mike hide in a secret place under Eleanor’s bed, telling monster stories. Often, it seems those stories and their mother’s house magic are all that keep them safe from both busybodies and their dad’s temper. But when their father breaks a family heirloom, a glass witch ball, a river suddenly appears beneath the bed, and Eleanor and Mike fall into a world where dreams are born, nightmares struggle to break into the real world, and secrets have big consequences. 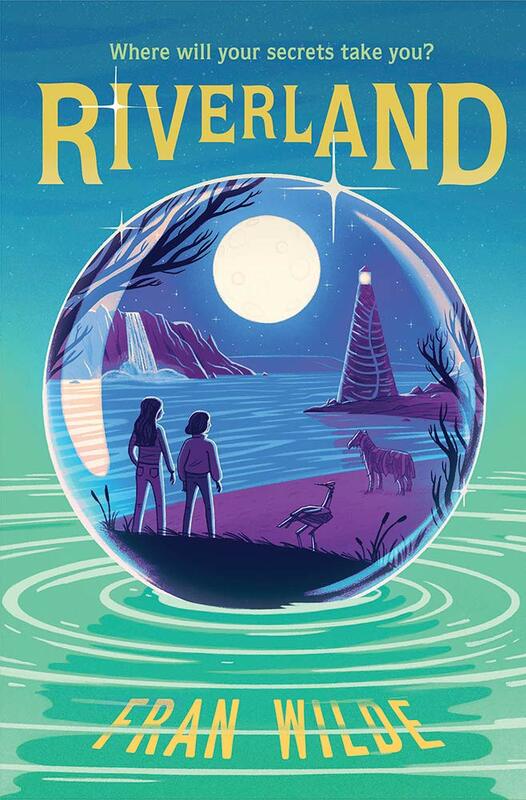 Riverland is one of those tender middle grade books. While it’s a story about magical places, of battles between nightmares and dreams, at the heart of this story is the relationship between Eleanor and Mike – their fear and love – as they navigate their family and their father’s temper. Faced with a reality of rules, house magic, and broken dishes, Eleanor tells Mike stories in their refuge under her bed. But when the house starts springing leaks and a puddle appears under her bed, Eleanor may be in for more than she can handle. Riverland is a story that almost breaks your heart with how emotional the story is, how much grief and pressure Eleanor carries. But Riverland is never overstated, which is why even though it deals with these incredibly tough issues of her mother who stays in this abusive relationship, and the abuse Eleanor and Mike suffer, it’s a quiet book. There’s a magical veil over everything we see, whether it be through house magic or mysterious stories. But for this exact reason is why I think that it can appeal so much to middle grade readers – children with this layer between them dealing with these issues about exactly what they tell adults, how to maintain friendships, and their relationship with their mother. Through it all, Riverland is guided by Eleanor’s love for her sister Mike. She becomes almost a captain for their ship, charting the unpredictable moods of her father, and the rules they live by. And so your heart begins to hurt for Eleanor. While there are layers of magic, creatures out of your dreams, and horses out of your nightmares, the shining lighthouse within this story is Eleanor and her relationship with Mike. Throughout Riverland, Eleanor learns to stories can protect us, they can trick us, but they can also be re-written. Eleanor learns about who she is, who she is afraid of becoming, and that you can save yourself. Find Riverland on Goodreads, Amazon, Indiebound & The Book Depository. Do you have a favorite portal fantasy book?